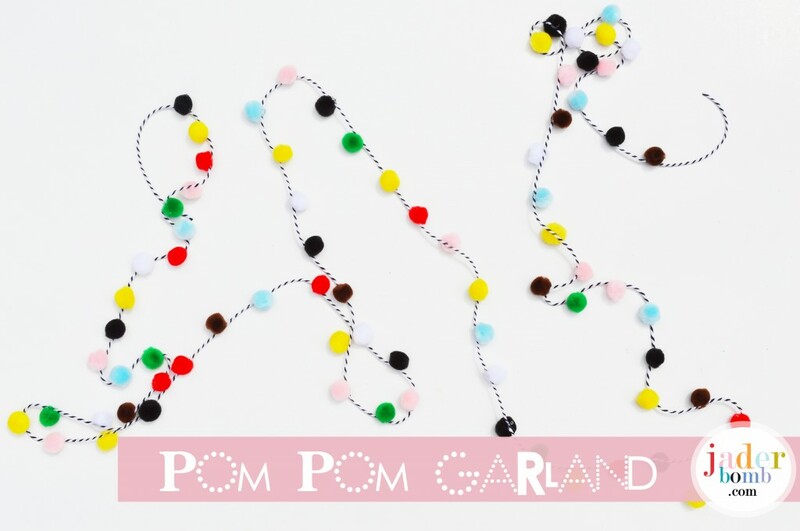 Pom Pom’s… It’s what’s for dinner. Well not really but if I could eat them I would. Why is it when I encounter fun things my insides bubble? For instance I just came home from Wal-Mart and when I was there I saw a Lisa Frank notebook. I literally had to stand in the isle for 10 minutes debating with myself on reasons I need it and reasons I don’t. Did I end up buying it, NO. On another fly note I am pumped to show you this tutorial. 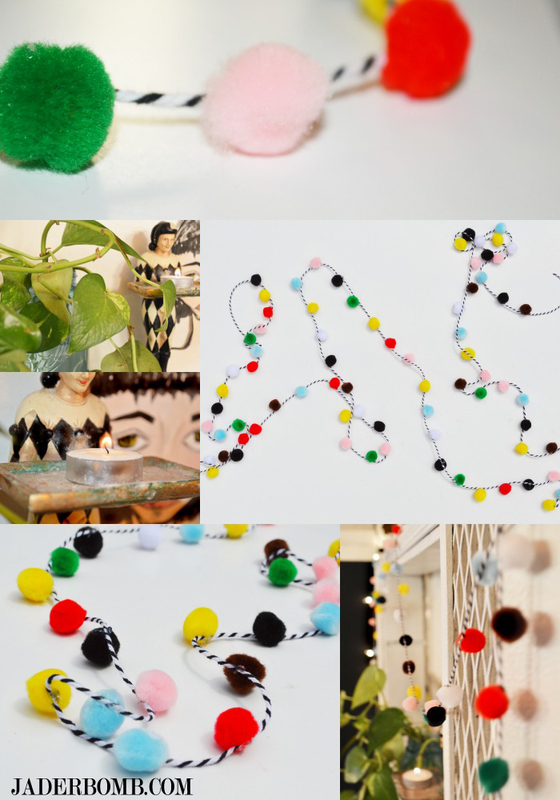 I love the look of felt balls and I started thinking of an easier way to make a felt ball garland minus the felt balls. I found a normal bag of pom poms at Hobby Lobby the other day for maybe $1.00. Yep, I bought them! 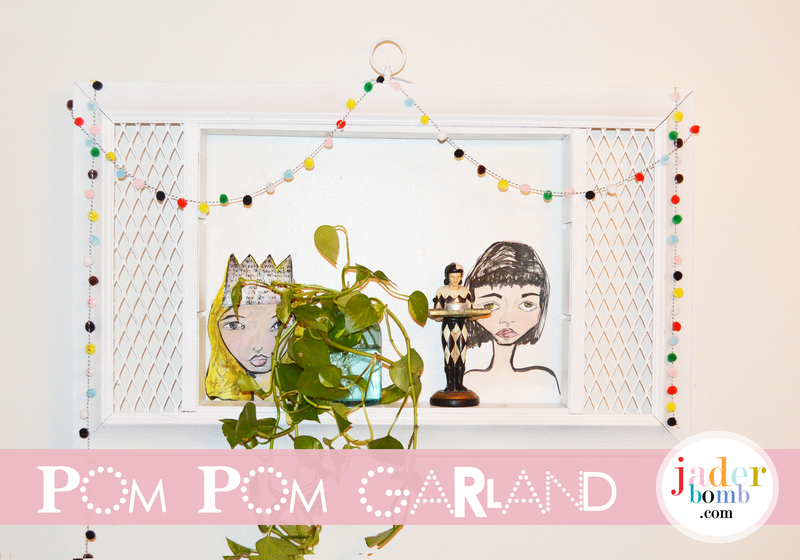 Come with me and I will show you how to make a garland made with Pom Poms. The materials you need for this project are minimal. 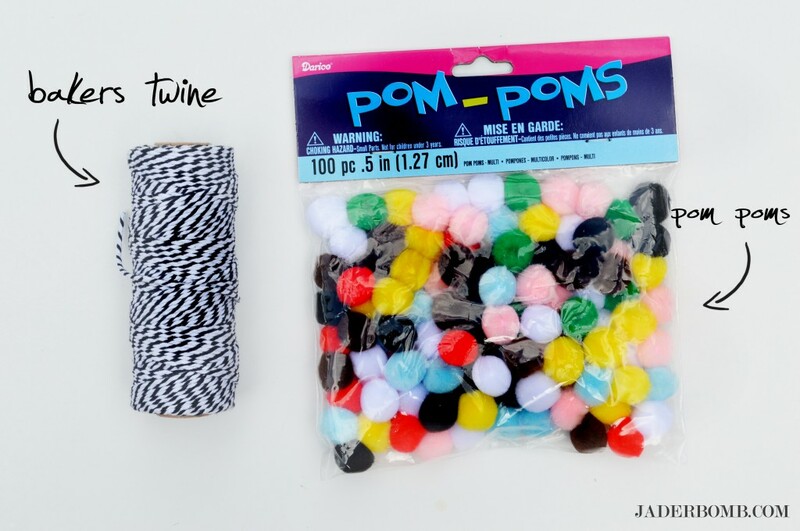 Baker’s twine and a bag of pom poms. Plug in your glue gun, when it’s super hot glue the pom poms to the twine! That’s it y’all! I love the way they look and remind me of a vintage room. Maybe I just like anything bright and fun against white walls. 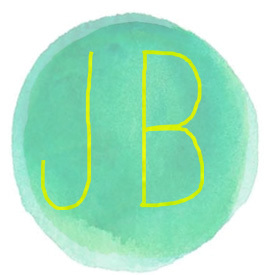 I am off to edit pictures for tomorrow’s post! See ya then. Glittered hugs from me to you!